Some creatures are small and cute and fluffy. Some are cold and slimy with gigantic venomous teeth. Which would you rather read about? Tip: if it’s the first lot, don’t read Nasty Nature – because all the animals in here are deadly and disgusting and very nasty indeed! Erk! Hungry hunters on the prowl. Creepy creatures lurking. Death on the dinner plate. Yes – it’s murder out there! When he is not writing, Nick spends his time travelling around the UK, giving talks to children in bookshops, schools and libraries. He has recently moved to Devon, England. 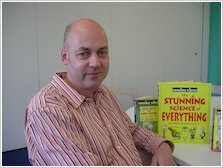 Horrible Science author Nick Arnold has been writing books and stories since he was a lad. Even in those days his favourite subjects for stories were horrible goings-on – the more gruesome the better. So you see, he hasn’t changed a bit. 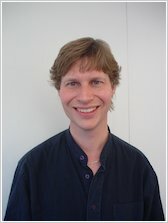 Nick’s first published books appeared several years ago when he was working at the University of North London on a project teaching children about nature. This led on to magazine articles. And one day Nick had a brilliant idea, if he could write articles he could write books… Since then Nick has lost count of the number of books he’s written. 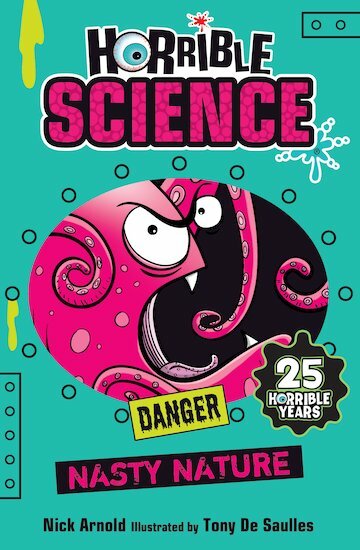 He teamed up with Scholastic and the best-selling/award-winning series, Horrible Science was created. There’s currently over twenty titles on sale – including Ugly Bugs, Blood, Bones and Body Bits, Chemical Chaos, Nasty Nature and Disgusting Digestion to name but a few. Nick’s most recent books are Explosive Experiments, Killer Energy and The Body Owner’s Handbook. Ugly Bugs and Blood Bones & Body Bits won the prestigious Rhône-Poulenc Junior Science Books Prize in 1997. Nick’s also had the honour of being a judge for the Rhône-Poulenc Prize for Science. Sales across the series now stand at over an amazing one and half million books! Aside from Horrible Science Nick has written Awesome Archeology for The Knowledge, Speedy Reads: The Moon Landing. He soon have a new series to his name called Wild Lives, about the first year in animals life, first up Nick will be looking at lions and sharks! When he’s not writing books, Nick is constantly taking his one-person show to bookshops, libraries, festivals and schools. The show is everything you would expect from a Horrible Science book, packed with revolting experiments and gory descriptions. Internet Vet is the first series he has written and illustrated. His own family are animal mad, and Internet Vet gives him more than a few ideas for the books, as well as plenty of reference for his research. Astronomy: Out of This World!